We are a strategic consulting organization that helps you solve financial, healthcare, property and transitional problems within your congregation by providing an outside, expert perspective. We specialize in Catholic organizations and have over 30 years of experience helping other congregations overcome the same challenges you’re now facing. This means you don’t just get our knowledge, but the invaluable network of connections we’ve built up over decades. Needing housing, healthcare, or both for your members. Feeling burdened by your properties. Wanting to focus on your mission and charism but are stuck in the day-to-day crises. Overwhelmed by your healthcare costs. Struggling to solve complex problems while negotiating internal politics. We will stop at nothing to help you. Contact us today to learn more about what we can do for you. No matter what you’re looking for, we approach your needs with a clear process. First, we analyze your situation. We take the time to understand your current goals, the obstacles you face, and the assets (both people and property) you have available. Next, we engage your congregation. From leadership to all members, we work with each person to understand their perspective and help them understand what’s possible. Then we develop strategies that meet your goals. We’ll work closely with you to come up with a plan that keeps true to your mission and charism. Finally, we implement and adjust along the way. We don’t just give you our recommendations and walk away. We stay with you through the journey. By striving to engage every member of your congregation, we ensure our solutions transcend internal politics and benefit everyone. Imagine your congregation affecting more lives, creating more impact, and seeding positive change in new directions—without feeling like you’re struggling to survive. We partner with you to clarify your vision for the future, while establishing an infrastructure that nurtures members’ wellbeing, and supports your properties and finances. 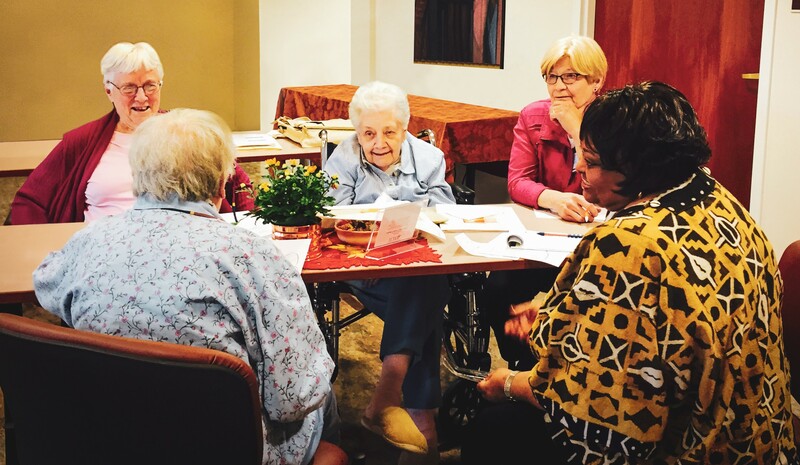 Our sustainable healthcare options allow aging members to be involved in community life – rather than requiring nursing homes and hospital stays to deal with ongoing issues. Healthier men and women religious lead to higher quality of living, which can spur renewed energy for your mission, more active members, and less distractions and setbacks by chronic health concerns.